Old shield from Mike Traverse's collection, photo taken by him. Two more from NY 17A. 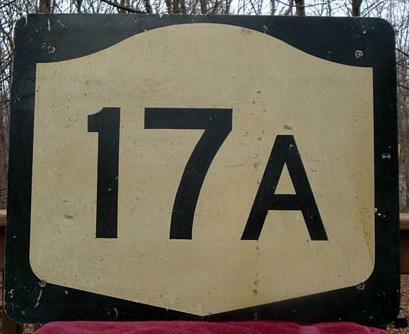 The first is an ugly half-stretched shield (the hump is supposed to remain the same on 2- and 3- digit signs), where 17A ends at NY 17 and turns into Orange CR 106. 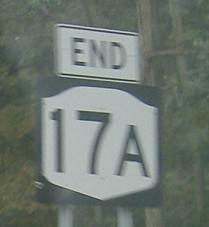 Not too long ago, NY 210 came up from New Jersey, multiplexed eastward with NY 17A, and continued straight at NY 17 without 17A all the way to US 9W. That is what CR 106 has replaced, for no good reason. 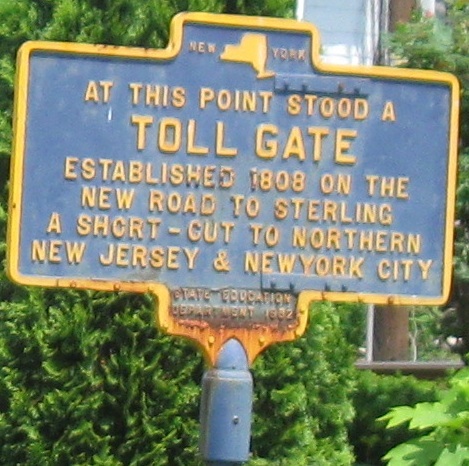 The second photo is a very old rounded parking sign, westbound in Sterling Forest (at the New York Renaissance Faire). 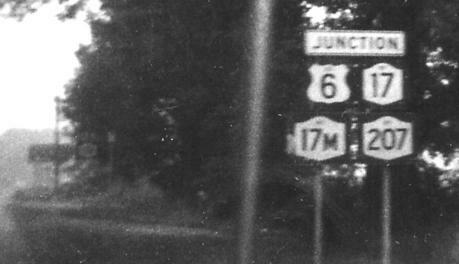 Courtesy Michael Summa, what the EB end of NY 17A looked like in 1972. All the NY shields had vestigial NY's to go along with their old-style digits, and the curly 6 had a US. 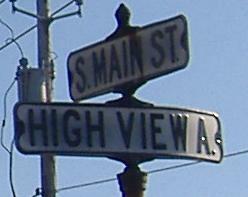 Of note is the JUNCTION banner, no longer in the MUTCD. 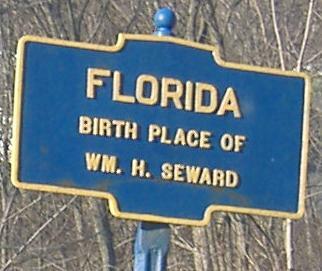 NY 94 with NY 17A in Florida and Warwick.